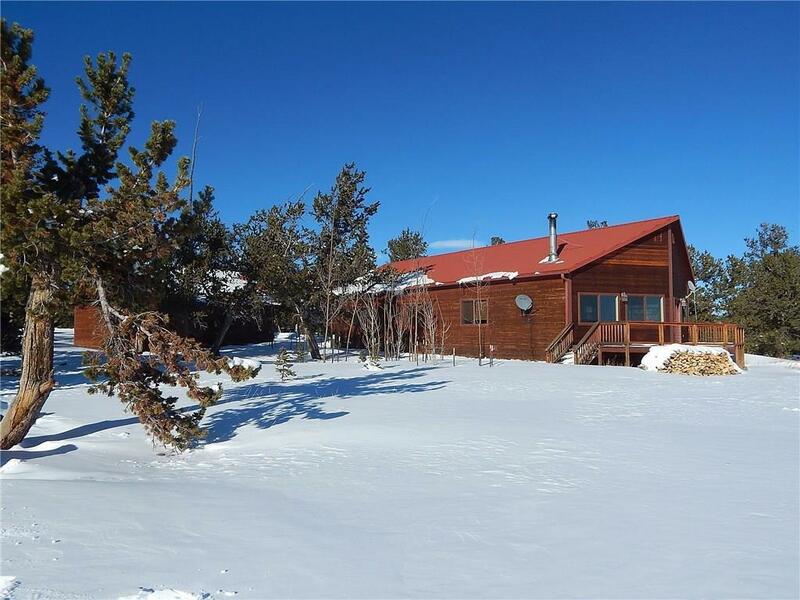 Partially furnished private ranch style getaway cabin has 3BR/2BA, 2010 sqft and sits on 2.35 pine and aspen treed acres bordering 355+ acres of Nature Conservancy property. 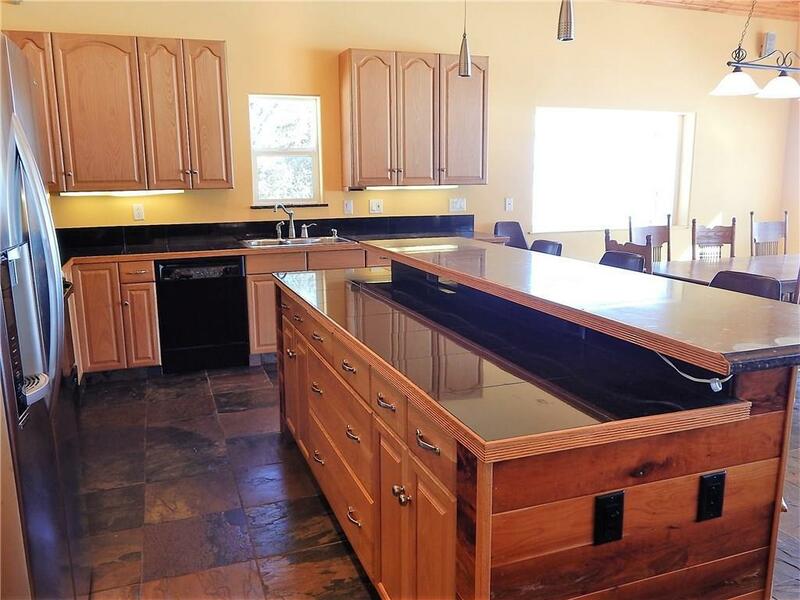 Slate flooring, large kitchen island, very unique Jurassic limestone countertops, HUGE great room, wood stove, T&G vaulted ceilings throughout, WALL OF WINDOW VIEWS, 5 piece master bath w/jetted tub & sliding barn door entry, in-floor radiant heat, metal roof, TREX deck and an OS heated 2 car garage. Upgraded to natural gas. 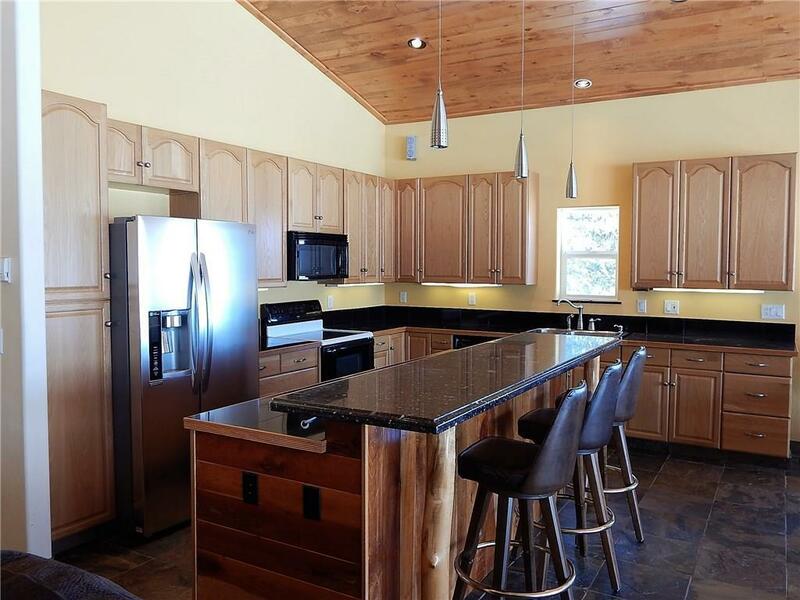 Listing provided courtesy of Bristlecone Realty Group.